Deputy Robin Hopkins of the Bernalillo County (NM) Sheriff’s Office was recently wounded in an ambush along with three Albuquerque PD officers. She is currently in intensive care. 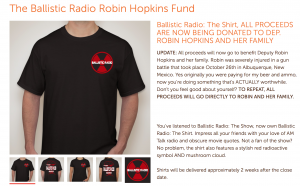 Ballistic Radio has a t-shirt sales effort underway and is donating the proceeds to Deputy Hopkins. 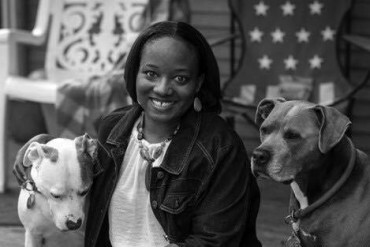 Additionally, a matching donation of $1.00 per shirt sold is being made (up to $1000.00). Also, those who buy 10 shirts will receive an owb holster from Dark Star Gear. If 1,000 shirts are sold, there will be a special raffle of a Sig pistol with each shirt purchased being an entry into the raffle.